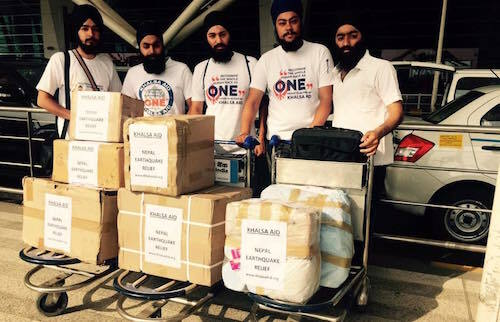 A Malaysian-based Sikh coalition has forged a tie-up with Khalsa Aid, a UK-based relief outfit which is already present in Nepal, to channel aid to the earthquake victims. The Coalition of Malaysian Sikh Organisations (CMSO) yesterday launched its Nepal and North India Earthquake Relief Fund. 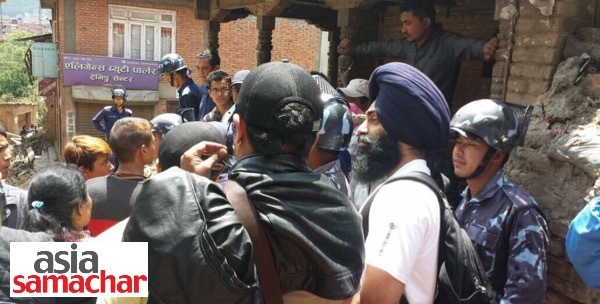 “Our tie-up is with Khalsa Aid who are now on ground zero in Nepal. Hands and feet firmly on the ground,” CMSO secretary general Autar Singh told Asia Samachar. The coalition will channel funds and essential stuff collected in Malaysia to Khalsa Aid. Also in the loop is Akaal Purakh in Fauj, a Punjab-based organisation, which has also mobilised relief efforts for the Nepal victims. Delhi Sikh Gurdwara Management Committee (DSGMC) and Amritsar-based Shiromani Gurdwara Parbandhak Committee (SGPC) have begun sending food packets for the earthquake victims in Nepal form Sunday. “The Fauj volunteers are assisitng in the sending the food from Amrisar,” said Autar. Autar added that CMSO has direct links with these groups and that the funds will be channelled to them. Khalsa Aid advance team landed in Nepal not long the mountainous nation was rocked on Saturday by a powerful magnitude 7.8 earthquake, the country’s worst in 80 years. It has since dispatched two more teams. The Punjab team is of five is led by Amarpreet Singh from Patiala. The UK team is of two is led by Khasa Aid chairman/founder Ravinder Singh Sidhu. “It’s vital that we strengthen our relief teams who are already present in Nepal. We will set up a medium term relief project,” Ravinder said in an update on the Khalsa Aid Facebook page. Khalsa Aid, an international non-profit aid and relief organisation, was founded in 1999 on the Sikh principles of selfless service and universal love, according to information on its website. It is presently providing aid in Uganda, Haiti, Lebanon, Malawi, Iraq, Panjab and now Nepal. Send donations to CMSO MAYBANK Account GABUNGAN PERTUBUHAN SIKH MALAYSIA number 514169626000. Then send a picture of the slip to +6012-2055011 for records. Please state Earthquake Relief, your name and address.